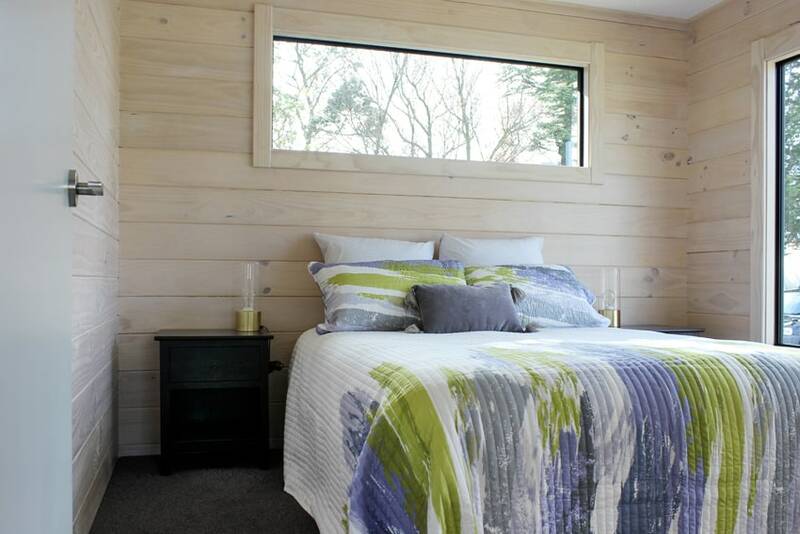 Visit the Karamea show home page here. Address: 1200 Main North Road, Kainga, Christchurch (near the old Waimak bridge). 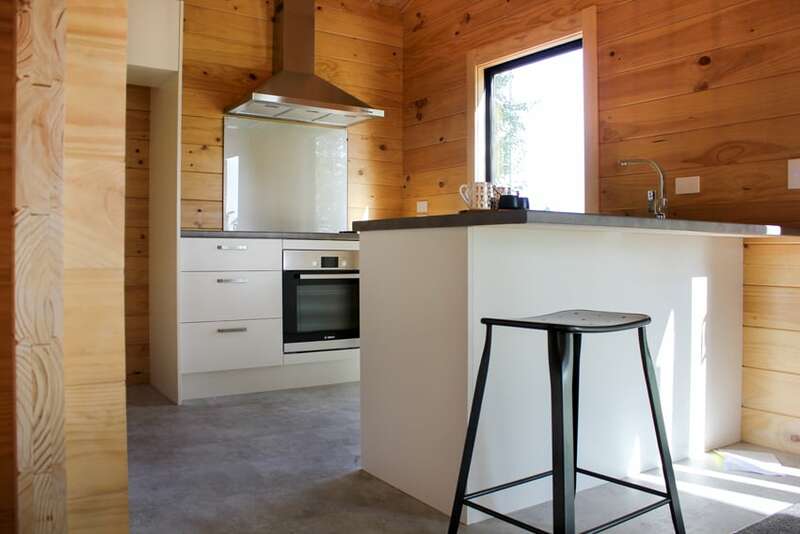 Often referred to as a ‘granny flat’, or an ‘eco tiny home’, this 2-bedroom chalet style sleepout or family flat has a separate bathroom and its own kitchen. It is perfect extra space for your visitors or unexpected family. Great for backyard, cabin, commercial motel usage and could be easily relocated. 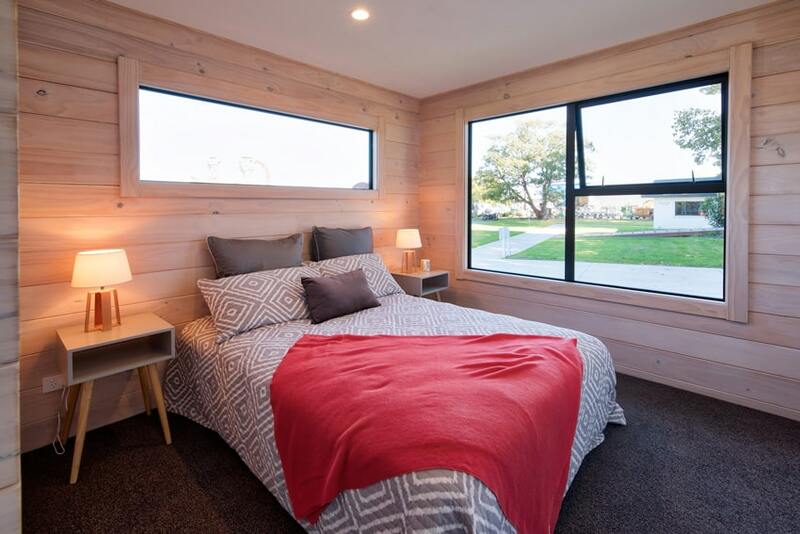 For customers in Canterbury or Wanaka, we can assemble the Karamea for you as a full build option. Or for anyone reasonably handy with a hammer, you can buy the Karamea as your very own granny flat kitset and assemble it yourself. We ship our kitsets nationwide as well as internationally. 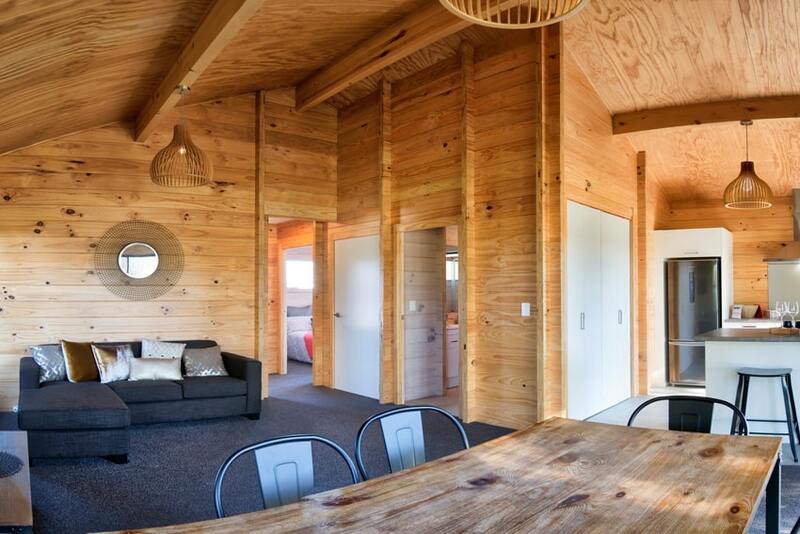 Looking for an even smaller granny flat design? 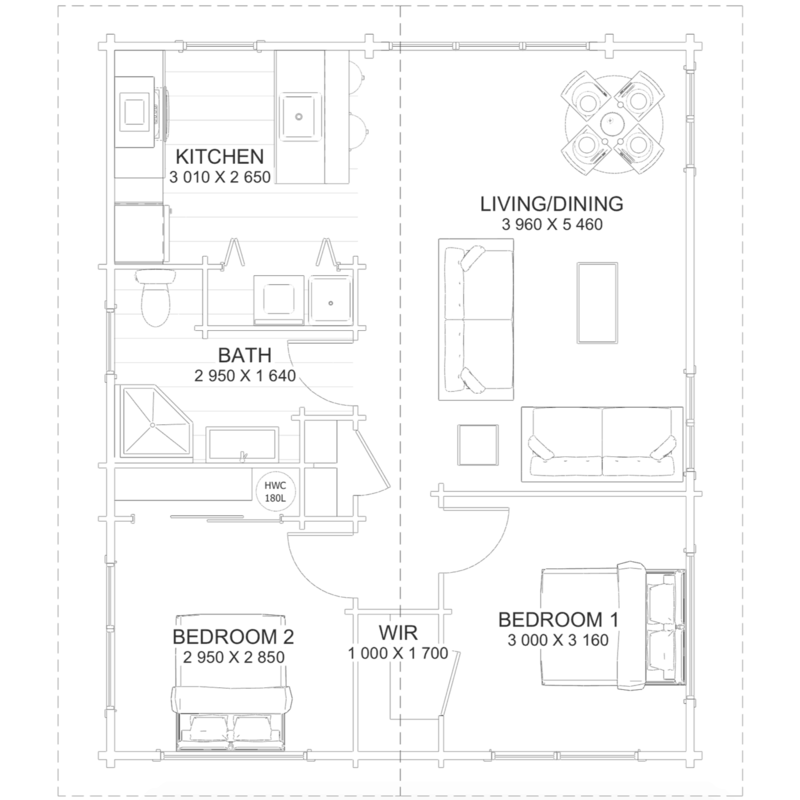 View our 1 bedroom granny flat design – the Little Owl. 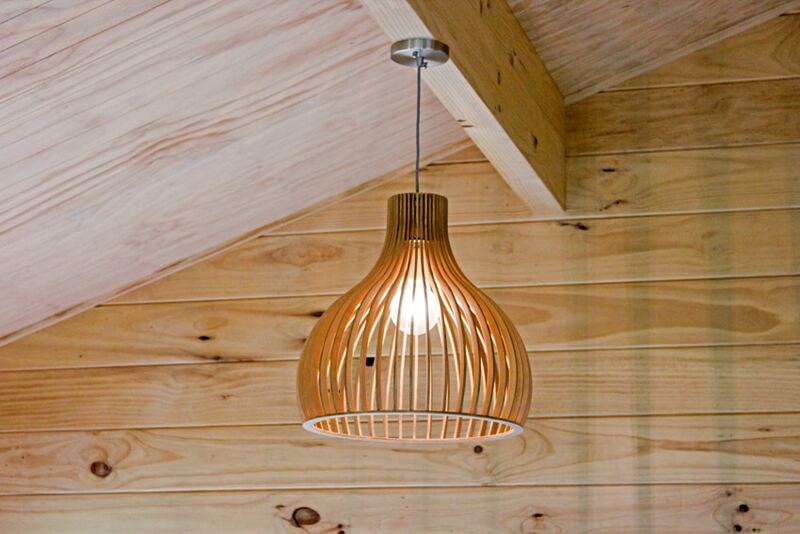 To see what is included in every Fraemohs solid timber kitset home, click here. 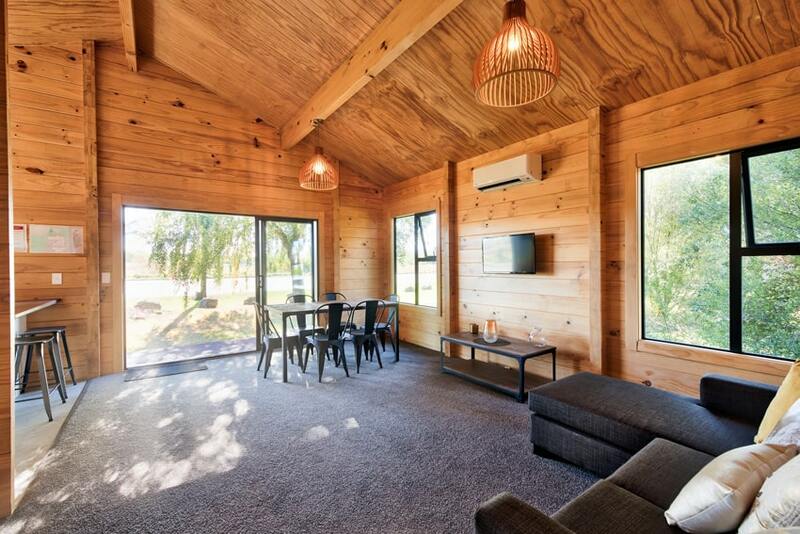 For all enquires about Karamea 65, speak to our dedicated agent, Carl Watson.